Why Be a Princess if You Can Be a Lady-in-Waiting? Let's say a princess asked you to be her best friend. Would you jump at the chance? That was precisely the role that a lady-in-waiting was hired to fill. You would have to be of noble birth, of course, but let's imagine that luck was in your favor. Considering how many stories, films, and shows are about princesses, it's surprising how few of them acknowledge their esteemed companions. If a princess is a superhero, her lady-in-waiting would be her sidekick. Is being a sidekick so bad? You would still get to be part of the all action at court. Only in recent years has the lady-in-waiting role made a comeback in the media. There are many benefits of being a lady-in-waiting. Though it was an unpaid position, ladies got free room and board in the castle and beautiful gowns to match their status. Let's face it. Those are two of the best perks of being a princess. The position comes with esteem and honor for yourself and your family, and you get a royal best friend who confides in you without having to deal any of the responsibility that would come with being a ruler. Overall, it's a pretty sweet deal. 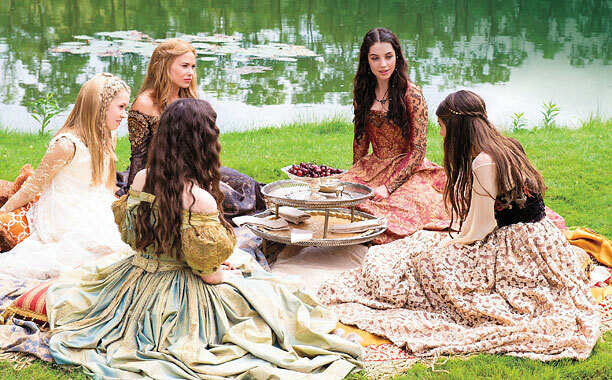 Why, then, do we rarely see these noble maidens accompanying our favorite princesses? First and foremost, nearly all princess stories focused on romance until very recently. While everyone is rooting for the prince and princess to get together, it is difficult to find time to notice on other members of the royal court. Also, most early animation studios had mastered the art of drawing animals and comedic characters long before they were able to draw a humans with ease. That's why they had to keep things simple and only animate the people who were absolutely necessary to the story, which was usually the prince, princess, and villain. Instead of having to draw more unnecessary characters, which would slow production, the princesses were given animal sidekicks. There are a few exceptions. Disney's 1995 Pocahontas had another Native American woman around Pocahontas's age named Nakoma. 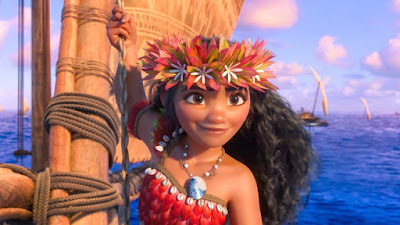 If Pocahontas had been a traditional European princess, Nakoma would have probably been her lady-in-waiting. This movie was the only time that Disney gave one of their princesses another girlfriend to confide in the '90s. It wasn't until over a decade later, when The Princess and the Frog was released in 2009, that Tiana was given a human confidante in Charlotte La Bouff. 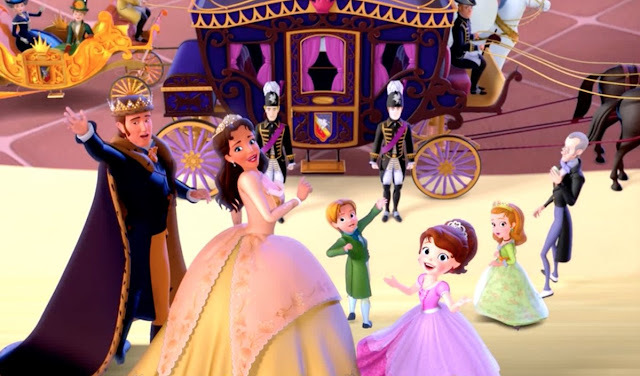 Before Tiana married Naveen, Miss Charlotte was the one with the money and power. Just like any princess would do for her lady, Charlotte provided her best friend with a proper gown the moment she noticed that Tiana had a fashion malfunction at the Mardi Gras party. 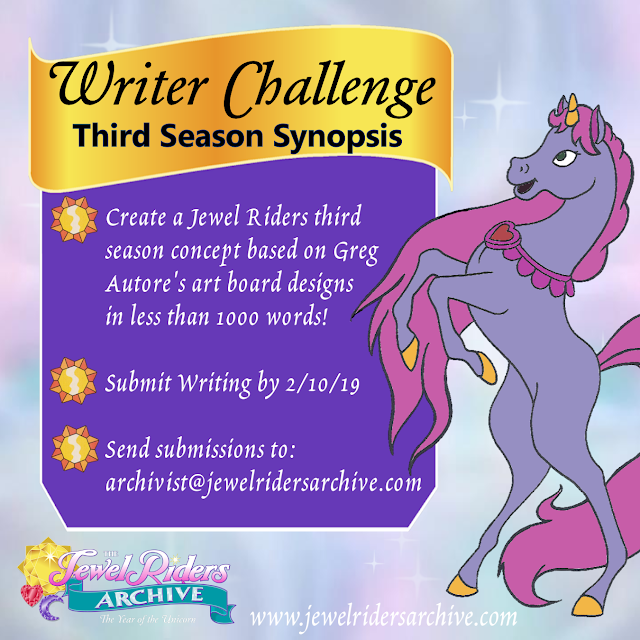 In a previous post, I mentioned my favorite animated series, Princess Gwenevere and the Jewel Riders, which, like Pocahontas, came out in 1995. In the episode "Song of the Rainbow," when Tamara is gifted with a magical harp, the man who gives it to her refers to her as "Lady Tamara." 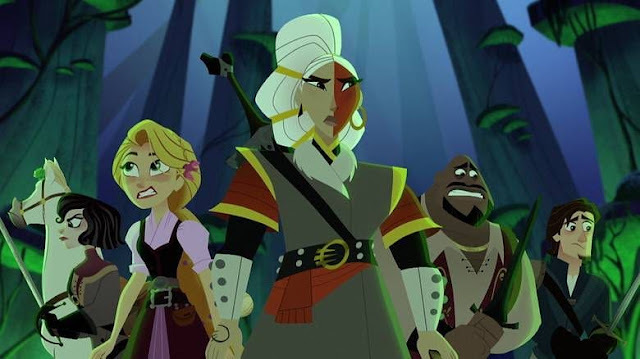 One requirement to be a lady-in-waiting is to be musically inclined, so it would not be much of a stretch to assume that Tamara might be one of Princess Gwenevere's ladies-in-waiting. 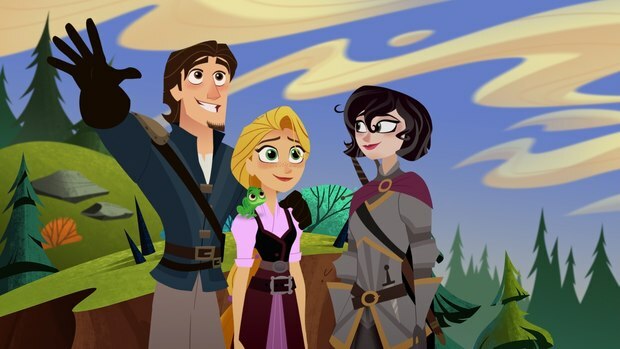 It isn't much of a surprise that this show would be one of the few princess stories to include noble ladies because it was a show about friendship, first and foremost. Romantic subplots were very rare, and irrelevant to the main story. Times have changed since then, and princes have become less vital to the princess formula. As result, the lady-in-waiting has made a comeback. The biggest example of this is the recently ended CW series, Reign, which told the loosely historical story of Mary, Queen of Scots and her ladies-in-waiting. 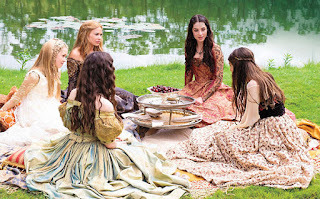 The show took great creative liberties with its historical context and renamed the ladies, commonly referred to as "The Four Marys." Lady Lola, Lady Greer, Lady Kenna, and Lady Aylee all had beautiful costumes and unique personalities. All of the drama in their lives was spiced up tenfold with many scandalous subplots, most likely to gain more ratings. 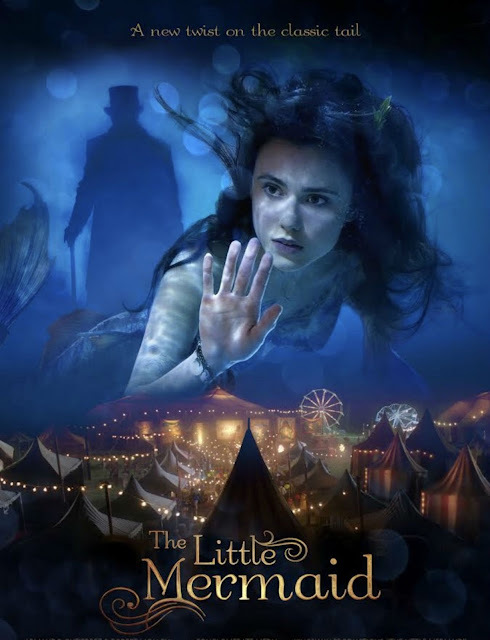 Like Mary, their stories all ended in a downfall of some sort, but they were the highlights of the show whenever Mary's plot twists grew tiresome. 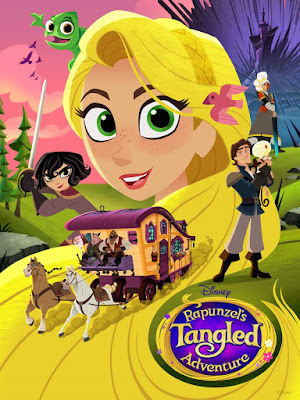 Most recently, Disney's newest princess show, Tangled: The Series, has given one of our Disney Princesses a proper palace pal. Lady Cassandra is everything we could hope for in a modern lady-in-waiting. She is very knowledgeable about the kingdom of Corona, which is useful when the princess has been missing in action for 18 years, and she has a hidden wild side. Her father leads the royal guard, so it's no surprise that she is just as good a fighter as any knight. 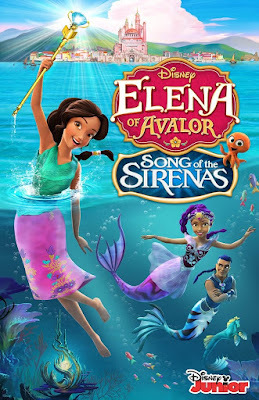 Voiced by Eden Espinosa of Wicked fame, Cassandra is also able to sing, covering the music requirement of her position. Most importantly, she's an excellent confidante for Rapunzel, keeping her secrets and advising her with tough love and brutal honesty in the hopes of breaking through the princess's naive exterior. For another adventure story about a lady-in-waiting, check out Most Wanted Knight, the novella I wrote in 2009. It's about a mysterious knight who returns after years of exile and is reunited with his old flame. Lady Gwendolyn, who is employed as the queen's confidante, must escape the unwanted advances of the wicked prince. It's fun to imagine being a princess, but it can also be fun pretending to be a lady at court. Very nice blog! Loved ready about the Lady in Waiting characters. And of course we love Tamara!